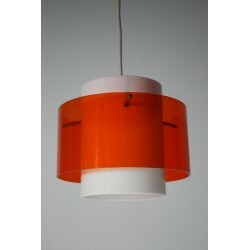 Vintage hanging lamp made of Plexiglas in the colors white and orange. The condition is very good. 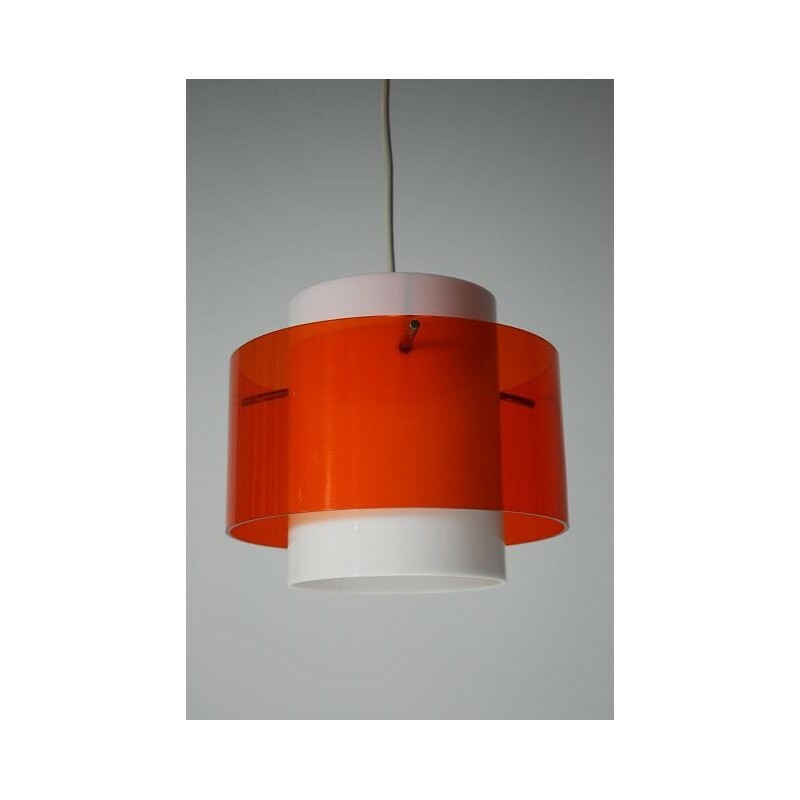 The dimension is 20 cm high and 23,5 cm wide.